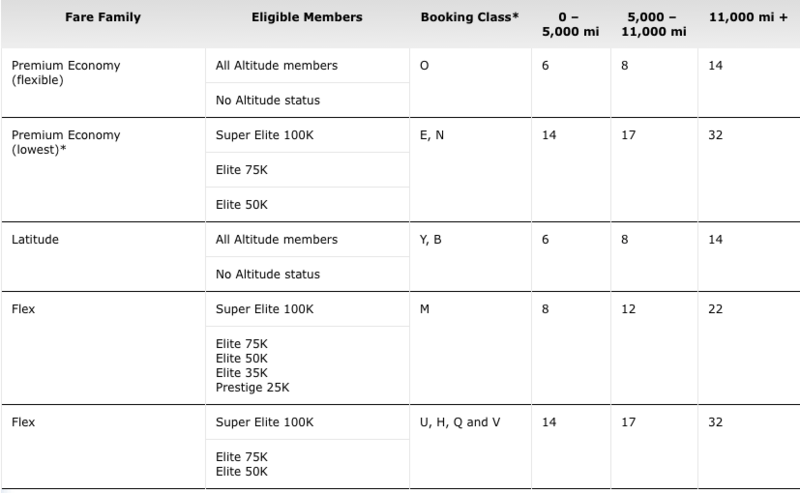 The Air Canada representative on Flyertalk released some details today about a revamped devalued Air Canada Altitude elite status program for 2015. I have to say it is looking pretty bleak. Here are a summary of the changes and my thoughts. The new MFR will not impact qualification for Altitude 2015. This change significantly increases the 10,000 Altitude (elite) qualifying mile (AQM)/5 segment elite qualifying segments (AQS) needed to currently qualify for Air Canada status. I am guessing that an attempt to shut out flyers who don’t fly Air Canada enough. They already attempted to do this by changing mileage earning on some United cheapo fares to 50%, but this further change means the majority of flyers who don’t fly at least half of their qualifying flights on AC won’t make status. For eUpgrade requests made on or after March 1, 2015, the number of eUpgrade Credits required to upgrade is increasing. The number of eUpgrade Credits you can earn through the Threshold eUpgrades program is also changing. These changes were made following a thorough benchmarking of the upgrades practices of other major international airlines who often limit international upgrades solely to their highest membership tier, and often severely limit the number of upgrades a member may request over the course of a year. This is where a lot of elite status travellers are ticked off. If you look at their charts, the eUpgrades required for most international flights go up close to 50%. That’s excluding the $500-750 copay required for all but top-tier elites flying long-haul. This is a very negative devaluation for most flyers. In early 2015, you will be able to redeem Aeroplan miles for seats in the Premium Economy cabin on Air Canada. Details will be coming soon. For reservations made as of March 1, 2015, the fuel surcharges on ClassicFlight rewards for travel within Canada and between Canada and the U.S. will be waived for all Altitude members. This is applicable on flights operated by Air Canada, Air Canada Express and Air Canada rouge. The fuel surcharges on ClassicFlight Rewards for travel between Canada and international destinations will be waived for Super Elite 100K members on flights operated by Air Canada, Air Canada Express and Air Canada rouge. This is cool, and possibly the only actual improvement, except it’s only limited to SE 100k members. If I was top-tier, now I’d be much more inclined to fly Air Canada since there’s no fuel surcharge. Air Canada tends to have to pretty international award space compared to non-fuel surcharge options such as EVA, Swiss, Air New Zealand, and Singapore Airlines, among others. It’s actually pretty cool, since SE members also have access to IKK, which means they can essentially turn upgrade bucket seats (R Class) into award seats, and book that with no fuel surcharge. A great way to boost your Aeroplan balance if you’re Canadian is the American Express Business Gold Rewards Card offers a limited-time bonus of 40,000 miles, and the first year annual fee waived. AMEX Membership Rewards transfer at a 1:1 ratio to Aeroplan, so it’s actually a bit ironic that one credit card application will probably get you more miles than all the flying you will do in an year, unless you’re a top-tier status member. I wrote about the complete details of the offer in this post. Overall, these changes are awful. No doubt Air Canada probably crunched the numbers, and decided the reduced revenues of members fleeing to other programs was going to be less than the benefits of the reduced costs of eupgrades, miles, and increased revenue from more Air Canada flying. I’m really thankful I didn’t bother “investing” in any elite status, as it’s honestly significantly cheaper through accruing redeemable miles to fly in luxury wherever I want. 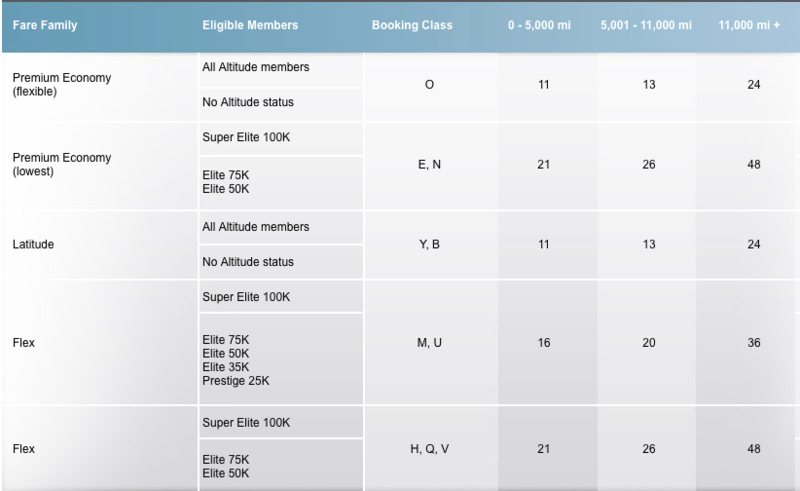 These devaluations are another reason why mileage running and elite status for most leisure flyers aren’t worth it. You can see the full list of updates to the Altitude program here. AQM = Altitude Qualifying Miles, not Elite. What about opening a United account – can you get status if most of your flying is on AC? Yeah you can, although it doesn’t really make sense to accrue on United when most of your flying is on AC. Hi…You had mentioned in another post that if you know someone who has SE status, to use their account to waive YQ charges for europe destinations. Wanted to know how that works. The system can recognize an SE account, so when an search on aeroplan.com with Air Canada flights only is being performed, it will display just as airport taxes, with no fuel surcharges. This happens regardless of whether the SE member is travelling or not, so it can be used on anyone.